Whatever happened to Bob Beckwith, the retired New York City fireman who stood with President Bush at the ruined World Trade Center? The "dust man"? The man who whispered news of the 9/11 attacks in President Bush's ear? Ten years ago, their images were everywhere. Find out what has become of them — and other key figures associated with 9/11 — since. Fine, who is married and has two grown children and a granddaughter, lives in suburban Watchung, N.J. When msnbc.com last spoke with Fine, the banker, now 67, was still working for investment consulting firm Carpe DM (a play on “carpe diem,” Latin for “seize the day”) and the SEPA Capital Group. The battered black briefcase, the suit -- a gray Joseph A. Banks single-breasted model he bought in the late ’90s for about $300 -- and the shoes he wore on 9/11 still sit in Fine’s closet. He keeps his unused, return ferry ticket and his World Trade Center pass as constant reminders of how fortunate he is to be alive, Fine said. He used the briefcase for several more years until his wife insisted he get a new one. During his two terms as mayor of New York, Giuliani was a divisive figure who some praised for cracking down on crime and others maligned for attacking civil liberties in his zeal to clean up the city’s streets. Then, of course, there was the tabloids’ portrayal of the mayor’s messy separation from then-wife Donna Hanover. All that changed on Sept. 11, 2001, however, when the polemical politician’s leadership following the terrorist attacks cemented his position as a national leader who was named Time’s Person of the Year in 2001. Giuliani currently divvies up his time between Bracewell & Giuliani, a law firm he joined in 2005, and Giuliani Partners LLC, a management and security consulting business he started in January 2002 and still has equity interests in today. Giuliani was chairman and CEO of Giuliani Partners until he hit the campaign trail in 2007. In the years following Sept. 11, rumors began to swirl that Time’s 2001 Person of the Year might run for president. In November 2006, Giuliani formed an exploratory committee and in February 2007 he announced his candidacy for the Republican nomination for president. The campaign, however, began to falter, and when Giuliani came in third place in Florida, he decided to drop out of contention, backing John McCain and giving the thumbs up to Sarah Palin as McCain’s running mate. The New York Times characterized Giuliani’s political career since 9/11 as a “dizzying free-fall” brought on by hubris and miscalculations. Still, the former mayor continues to be a pundit, particularly on Republican issues. He spoke out against Obama’s response to the recession and most recently made news when he came out against the building of an Islamic community center two blocks from the site of the Sept. 11 terrorist attacks. Since 2001, Giuliani’s personal life also has continued to make headlines. After finalizing his acrimonious divorce from Hanover in 2002, Giuliani married Judith Nathan in 2003. Giuliani’s relationship with his two children by Hanover has been described as estranged and neither child appeared in the former mayor’s presidential campaign literature. The reason, of course, that Flight 93 did not crash into the U.S. Capitol or another site in Washington, D.C., was due to the heroic acts of many of its passengers, among them Lisa Beamer’s husband, Todd, whose words “Let’s roll” to a telephone operator just before the plane went down near Shanksville, Pa., summed up the can-do bravery of the ordinary men and women who fought back against the terrorists. Beamer, who was five months pregnant on the day of the attacks, appeared repeatedly in the media, from the TODAY show and Larry King Live to People magazine. President George W. Bush even introduced Beamer to the country during his address to Congress on Sept. 20, 2001. Five months pregnant at the time of the attacks, Beamer came to represent all of the 9/11 widows grieving with dignity and strength. Beamer made 200 media appearances within the first six months after Sept. 11, according to publicist Tina Jacobson. 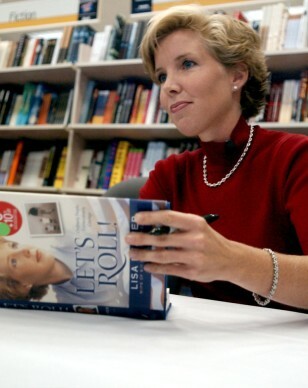 After giving birth to her daughter, Morgan, in January 2002, Beamer went on to write “Let’s Roll! : Ordinary People, Extraordinary Courage” – a book about her husband and her struggle to deal with her grief after his death. She later went on to create the Todd M. Beamer Foundation in Princeton, N.J. – an organization designed to help children who had lost their parents in the 9/11 attacks. The Beamer Foundation changed its name to Heroic Choices in 2004 and expanded its focus to help children who are rebounding from trauma, generally. Heroic Choices, however, began to encounter trouble in the mid 2000s. "The farther you get away from a charity created on a specific day ... the harder it is for charities to create funds as a result of an event,” Heroic Choices chair William Beatty said in a February 2007 interview. It is unclear whether or not Heroic Choices is still in operation, although the phone number previously listed to the organization is now no longer in service. Lisa Beamer, who was once on the board of Heroic Choices, along with her publicist, Tina Jacobson, declined to talk to msnbc.com. Beamer has made very few, if any, public speeches or appearances since 2007. Some accused her of profiting from the death of her husband in the terrorist attacks with the publication of her book and frequent media appearances. She was also criticized for applying for a trademark for the phrase “Let’s Roll.” The Todd M. Beamer Foundation successfully attained a trademark for the term and has since licensed it to Wal-Mart, the Florida State Football team and others. 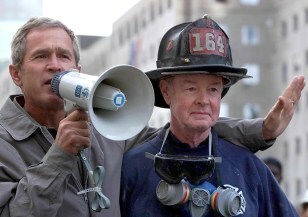 As Ground Zero still smoldered just days after the 9/11 attacks, President George W. Bush stood with a bullhorn in one hand and his arm around retired New York City Fire Department firefighter Bob Beckwith – instantly making Beckwith an iconic image of the nation’s strength and resilience in the wake of the attacks. Beckwith, now 78, retired from FDNY’s Ladder 164 firehouse in Queens in 1994 after 29 years of service and now speaks and raises money for New York Firefighters Burn Center Foundation – a non-profit dedicated to advancing burn care, research and prevention. He has six kids, who are all grown up now, and lives with his wife in Baldwin, Long Island, where he’s been for the last 53 years. This Sept. 11, Beckwith plans to go to a memorial at Point Lookout in Queens. He’s gone there every year since 2002. “It’s well done,” he says matter-of-factly. 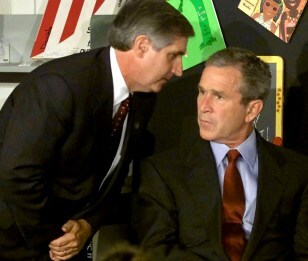 When Card whispered the news of the 9/11 attacks into President Bush’s ear, the best he could do was to remain “calm and collected,” he told msnbc.com. As the Bush administration dropped in popularity as the war in Iraq dragged on, Card -- who worked seven days a week and went down as one of the longest-serving chiefs of staff of all time -- announced he would leave office in March 2006, after six years in the notoriously tough job. A former executive at General Motors, Card returned to the private sector, where he now sits on the board of directors of the railroad operator Union Pacific. In 2007, he also joined the public relations company Fleishman-Hillard as a senior counselor. Card frequently speaks at schools and colleges across the country, sometimes drawing flak for his candid criticism of the Obama administration. In January 2009, Card told conservative talk show host Michael Medved that Obama brought a “locker room experience to the White House” with his informal dress code. Across the blogosphere, liberals urged Card to apologize. After Sen. Edward Kennedy died in August 2009, Card, a native of Massachusetts, considered running for Kennedy’s Senate seat but ultimately opted to step out of the race on Sept. 11, 2009 and endorse Republican Scott Brown for the post. The hard-nosed Cantor Fitzgerald CEO lost 658 out of his 960employees in the 9/11 attacks. No one who was in the company’s offices, occupying floors 101-105 of the North Tower of the World Trade Center, before 9 a.m. on Sept. 11 survived. In a twist of fate, Lutnick was not in the office on the morning of the attacks because he was taking his son to his first day of kindergarten. But, while that saved his life, his brother, best friend and almost all of Cantor’s stock and bond traders, as well as the accounting, human resources and legal departments were killed. In the immediate aftermath of the attacks the notoriously tough corporate titan wept on TV and promised to take on a new mission in life: To take care of the families of his dead employees. Lutnick’s compassionate side appeared to be short-lived, however. On Sept. 15, just four days after the attacks, Lutnick stopped paychecks to all of the employees who had died. The victims’ families were outraged. By Sept. 19, Lutnick quickly announced a compensation plan to help the victims’ families – the company promised to share 25 percent of profits with families for the next five years -- until Sept. 11, 2006 -- plus 10 years of health insurance. By all accounts, Lutnick has made good on his promise. Cantor Fitzgerald is once again a profitable company and a global financial service provider specializing in equity and fixed income capital markets, as well as investment banking, asset management and brokerage services. Through the Cantor Fitzgerald Relief Fund, moreover, the company distributed more than $180 million of its earnings to the families during the five-year period following 9/11 and will continue to provide health insurance to them until Oct. 19, 2011. When the U.S. government created the September 11th Victim Compensation Fund, the firm hired econometricians to prepare a detailed model for each family so that they would be awarded the right amount of compensation. Cantor also provided the families with access to lawyers to file life insurance claims. Lutnick, meanwhile, continues to serve as chairman and CEO of Cantor as well as holding the same positions at both BGC Partners Inc. (an inter-dealer broker) and eSpeed Inc. (an electronic trading platform). In addition, he serves on numerous boards, including that of his alma mater, Haverford College, and that of the National September 11 Memorial & Museum. Lutnick received the Department of the Navy’s Distinguished Public Service Award, the highest honor granted by the Navy to nonmilitary personnel. Earlier this year, Lutnick came out against President Obama’s “populist battle against the banks.” “It’s fun to bash the banks if you are not making ground in health care,” he told Reuters at the World Economic Forum. 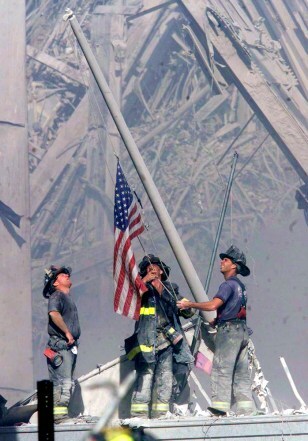 The photograph is perhaps the most iconic taken at ground zero: In it, three New York City firefighters -- Daniel McWilliams, George Johnson and William “Billy” Eisengrein – stand amid the ruins of the twin towers late in the afternoon of Sept. 11, 2001 to hoist a jerry-rigged American flag. Ten days after it was raised, the flag was taken down and brought to Yankee Stadium where it was signed by then-Gov. 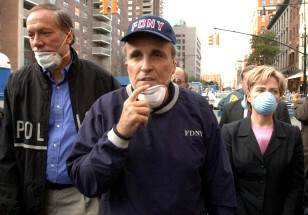 George Pataki and Mayor Rudy Giuliani along with the city’s top fire and police officials. Afterwards, it was reportedly taken to the USS. Theodore Roosevelt – the aircraft carrier that was deployed to launch the initial strikes against al Qaida from the Arabian Sea off Afghanistan. Nobody knows, however, what happened to the flag after. “I don’t know where Osama bin Laden is, either,” Bloomberg told USA Today in a 2006 interview. Some speculate it was stolen. All three of the firefighters featured in the iconic image are still working for the New York City Fire Department today. They want “nothing to do” with requests from the media, according to the FDNY press office. The press office was able to give general updates on the three, however. Eisengrein, now 46, is a firefighter working out of Rescue 2 in Brooklyn. He has been with the FDNY for 25 years now. Franklin, the one who captured the image, still works for The Record in New Jersey. 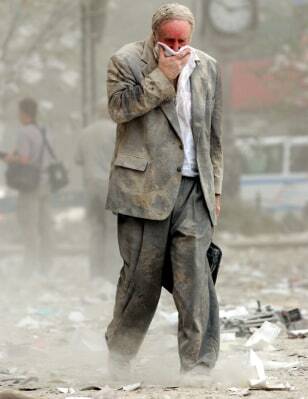 He is now the paper’s multimedia and video manager and said that after getting inundated with media requests in the years immediately following 9/11, things began to get back to normal for him in 2003 and 2004, which is what he prefers. Franklin, now 44, is married with a son and lectures as an adjunct professor at Ramapo College in New Jersey. Franklin said he has met the three firefighters in his photograph a handful of times since 9/11, most recently at the one-year anniversary of 9/11 when he took another picture of the three with the statue of liberty in the background. That photograph ran on the cover of Newsweek and The Record. Stepping down as chief legal adviser in the FBI’s Minneapolis office to become a special agent once again in 2003, Rowley retired a year later after 24 years with the agency. She now lives with her husband and four children in Apple Valley, Minn. In February 2005, Rowley was nominated to serve on the Privacy and Civil Liberties Oversight Board, a five-person body recommended by the 9/11 Commission to advise the executive branch on laws and policies implemented to protect the United States against terrorism. 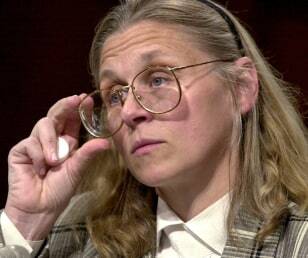 The Bush administration, however, did not select her for the board. Though much in the shadow of Mayor Rudolph Giuliani, New York City Police Commissioner Bernard Kerik was central to coordinating the city’s response to the 9/11 attacks at the World Trade Center. consulting firm founded by his former boss. 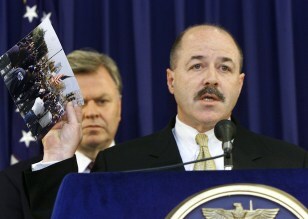 And in May 2003 Kerik was appointed as the interim minister of interior to Iraq with responsibility for overseeing post-invasion reconstruction efforts. He also served as senior policy adviser to Paul Bremer, the U.S. presidential envoy to Iraq. But very soon after, several issues came to light that ultimately doomed the nomination, including tax and immigration violations regarding a former nanny, questionable timing in the sale of stocks, rumors of an extramarital affair, allegations of misusing police property for personal gain and improper reporting of gifts. As a result of the disclosures, Kerik withdrew his nomination and resigned from Giuliani Partners. 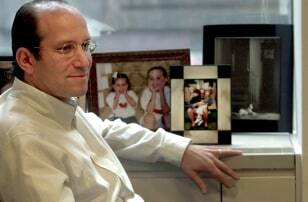 He started The Kerik Group LLC, a group focusing on crisis and risk management, a few months later in March 2005. He was chairman of the company until June 2009. Kerik is married with two young daughters. He is active on social media, tweeting @BernardKerik and blogging at bernardkerik.blogspot.com. Bin Laden’s whereabouts remain unknown, though most observers agree he is in hiding in the mountainous tribal areas straddling the Afghanistan-Pakistan border. 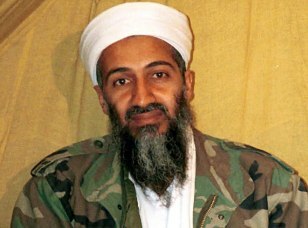 Since the attacks, there have been dozens of audio and video clips attributed to bin Laden. In an audiotape released in the aftermath of the Gaza offensive earlier this year, he called for a new jihad against Israel. He also argued the global economic downturn signaled a weakening of U.S. influence worldwide. In a January 2010 audio clip released by Al Jazeera, bin Laden reportedly castigated the United States for not dealing with climate change. CIA analysis of the tapes verifies that at least some have been made by bin Laden. However, skeptics such as Prof. Angelo Codevilla of Boston University question the authenticity of the recordings, citing results of other voice recognition tests such as those conducted by a Swiss artificial intelligence institute. In July 2006, National Public Radio and The New York Times reported that a decade-old CIA unit named Alec Station -- whose mission was to hunt bin Laden and his top lieutenants -- was disbanded in late 2005. While a former official in charge of the unit, Michael Scheuer, called the move a mistake, a CIA spokeswoman said "the efforts to find Osama bin Laden are as strong as ever." The most tapes from al-Qaida also reveal that the group could be struggling with finances. In August 2010, one of the group’s top commanders appealed for donations, saying that many militants lacked the money and equipment to fight. The message, posted on the group’s website, also included a previously recorded audio clip of bin Laden.